Don’t stress over taxes. Even though the tax deadline is getting closer, there are still things you can do to make filing your tax return easier. Better yet, you have time to open an IRA (three extra days—until April 18, 2017) or to take advantage of other deductions that can shave dollars off what you may owe Uncle Sam. Income: W2 Forms from your employer, 1099s related to other income, receipts for income, like rent. Payments made: Forms 1098 for mortgage interest statements or student loan interest payments, for example. Health care: Form 1095 if you received a subsidy for your health care insurance. 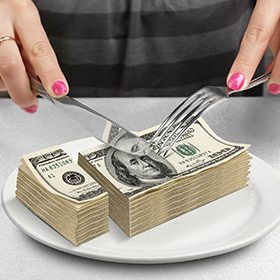 Interest or dividends: These are from savings accounts or investments. Estimated tax payments you have made already. Investments: the price you paid or received for any stocks or funds bought or sold. If eligible for a deduction, your Traditional IRA contribution will immediately reduce the amount of tax you owe; Roth contributions are not deductible (but your distributions will be later on). Over time, as you continue to contribute and the value of the assets in the IRA increases, you will continue to reap the tax benefits and build a good foundation for your retirement. Examples of deductible expenses: State taxes and local taxes, medical expenses that amount to more than 10% of your adjusted gross income, mortgage interest, charitable contributions and others. Additional expenses you need to consider are tax preparation, job related expenses, and professional dues. If you are a sole proprietor, expenses that are business related may be used to reduce your net business income: advertisement, travel, food and lodging, uniforms etc. Once your return is filed, be sure to keep copies (paper or scanned versions) of all the supporting documents used to prepare the return. Keep notes about how you arrived at the numbers used in case questions come up. If you have any doubts about your return, talk with a trained tax professional. 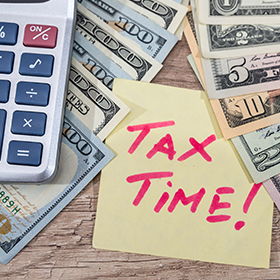 Tax season may never be your favorite time of year, but if you follow these tips, it can be less difficult—this year and next year. As a retirement plan saver, the tax law provides a contribution incentive for individuals within certain income levels. Unlike a tax deduction, which reduces the amount of income that will be subject to income taxes, a tax credit reduces the amount owed by the individual. 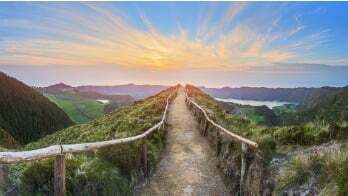 In some cases, depending on the type of IRA contribution made, an individual may be eligible for both the tax deduction and the tax credit, thereby increasing their benefit. For more information, the IRS Form 8880 and accompanying instructions will walk a tax payer through this tax credit determination. Take a look at our easy-to-follow IRA comparison chart to get a simple outline comparing the details of each plan side-by-side.